Hello folks sorry for the long delay in updating our blog. We were on vacation for a awhile, but now we are back and we will update weekly. 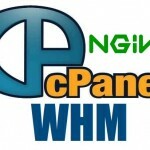 This time we will talk about Nginx and its benefits over Apache. But first let’s say a few words about Nginx and what exactly is Nginx. Nginx or as its pronounced engine X is a proxy server that has the ability to serve on a dynamic site. Nginx is currently the second most used proxy server. One of the reasons for its major use is that Nginx can handle a big amount of traffic. Nginx is bundled with OpenBSD and distributed under a simple 2-clause licence. Nginx was created by the Russian Igor Sysoev in 2002. Igor Sysoev was born in 1970 and after creating Nginx he took the title of Chief Architect. Nginx Inc is the company that stays behind the server. The company has offices in USA and Russia and was made nine years after Sysoev came up with Nginx. Nginx Inc also reported that the server Nginx servers more that 40% of the top sites worldwide. The reverse proxy helps to balance load by distributing requests and caching certain types of content. Like Apache, Nginx has a modular architecture. 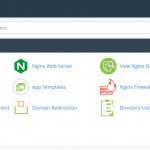 Why do you need to choose Nginx over some other server? Well unlike Apache, who is knows for its process oriented approach, Nginx can take on a high load and high spikes. Nginx can also handle millions of requests which is one of the reasons why web developers prefer to host their websites on Nginx. Some of the websites that are hosted on Nginx, are Netflix, Wikipedia, Dropbox, WordPress.com and many more. 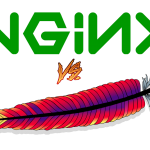 Nginx may seem like a wild and exotic choice, because every host offers Apache. But, there are a lot of reasons to choose Nginx. Nginx is more effective than Apache, if your site gets overwhelmed. Apahe is slowing down if it gets overwhelmed, but if you use Nginx that won’t happen. Apache also refuses any requests when it’s overloaded, but Nginx is made for making the VPS run faster and faster. Apache is offering help and support whenever their clients need it. As most developer know PHP, Perl and Python are built in Apache, so its easier to start with Apache. Apache is helping Ruby to run faster than on other servers. Unlike Nginx, Apache supports htaccess. Some people use both Apache and Nginx, that way you get the best of both servers and you don’t have the problems that have the users that use just Apache or just Nginx. Nginx can run on a lot of different operating system like, Linux, OS X, BSD and more. You won’t see Nginx offered in a hosting plan, because you as a user will need to interact with it directly, if you used it on a shared plan that means that everyone will have access. 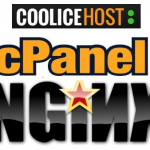 Let’s imagine that you found a host that is offering you Nginx (like CooliceHost) and not Apache. The first think you need to do is to find out, will you use Nginx from the first day or not. That is needed to know, because most hosts will leave you to deal with installing Nginx alone. With Nginx you can also run WordPress, and it runs quiet good, so you won’t have any problems on the way. Well this is for now folks and again sorry for the long delay in updating our blog.